The game appears to run at 30fps with the 3D on and possibly even 60fps with it off. Either way was very smooth and I experienced no graphical hiccups. 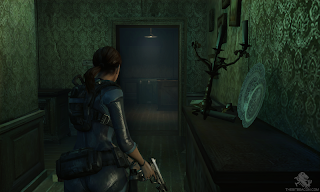 Jill’s character model looked as if she came right out of Resident Evil 5 without losing any of the detail. She is looking better than ever! I started to explore the initial room and fired a couple shots to see if I could bust some light bulbs. This would be something I would soon regret. In Resident Evil 5 ammo is all over the place, and I had made the faulty assumption that it would be the same way in Revelations. As I made my way through the corridors and rooms these new monsters would pop out from doors, ceilings, and under shelves, these enemies each needed at least five handgun rounds or two shot gun blasts to down. Every shot truly counted; it was painful whenever I missed. Walking into a new room with only 3 rounds was a frightening thought. I eventually found an ‘Item Scanner’ a neat little gadget that enables you to scope out the room and scan for hidden objects. It reminded me of Metroid Prime's scan visor a bit. This was helpful in finding some extra grenades and ammo. Finally, I made it to the last room, which was quite small, where two of the monsters I had seen before plus a new one were waiting for me. Quickly, I wailed into the first of the common monsters and got it out of the way. Tossed one of my grenades at the second one but missed. I started to panic. I took a hit and ran to the opposite side of the room. The controls offer a neat shortcut to quickly do a 180 degree turn so I was facing the new enemy. Using my last shot gun round and a few more shots from my handgun I fired repeatedly. The more hits it took, the more the giant bulb on its body expanded until it exploded. One left to go, but only five rounds handgun ammo remaining. I circled around the room again to get the monster as far from Jill as possible and I opened up on him as soon as I had the upper hand. All five rounds made contact and the last one was down. Now I was 100% out of ammunition. This was the most nervous that a video game had made me in sometime. The demo ends not long after this. 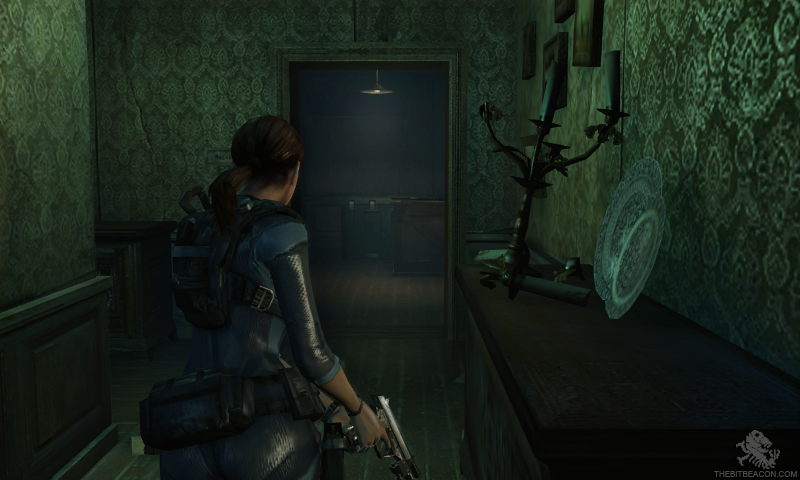 Jill meets up with Parker and they make their way to the bridge of the ship, yes a ship, not a Mansion. Their tugboat explodes outside and a mysterious character appears. This person apparently knows who Parker is and he fires a shot at him. The demo then cuts to black. I can confirm that Resident Evil is now scary again, or at the very least intense and nerve wracking. It was easily one of my favorites on the show floor. Capcom is definitely pouring a lot of love and time into this game. Look for it on store shelves sometime in 2012! 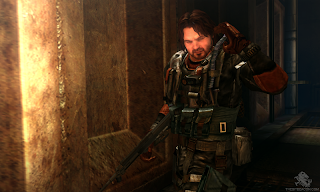 As much as I loved RE4, I could never really see it as a Resident Evil game. Great to know Capcom hasn't forgotten its roots.